The Office of Partnerships and Field Experiences arranges all placements in conjunction with and at the recommendation of district administrators. All candidates are placed within an approximate 30-mile radius of Dayton campus. Priority is granted to area school districts with which we have partnership agreements in regard to field placements, especially Student Teaching placements. When possible, OPFE takes into account the candidate’s address of residence. Requests for exceptions (with evidence supporting the request) must be identified on the application. Sites that are solicited by the candidate. Schools that candidates attended or where family members currently attend. Schools where family members currently or have recently been employed. Sites where candidates have completed a prior field experience, unless special arrangements have been made. Requests from a principal or teacher initiated by a candidate will be denied. The application for Fall 2019 will be available starting November 1. Click on the link under Student Support Services that says Taskstream Field Experience. Click the ENTER CODE button. Enter OPFE in the program code in the search box, then click SEARCH. Click Start working on your new program. On the left hand side of the screen, there is a list of programs and the field courses. Find your program, then click on the field experience course you are applying to take. Read the information regarding the field experience. Then click the Add Form button. Fill out the application, then click Save and Return. Finally, be sure to click Submit button in the top right corner. To access the application for a new academic year (once it is available), follow steps 1 & 2, and a webpage will load with the DRF for last term's application. At the bottom of the screen, click on the button that reads ENTER CODE. You will enter the code OPFE, and follow steps 5-11. To complete a new application within the same academic year as your previous application, steps 3-7 no longer apply. When clicking the Taskstream Field Experiences link in step 2, a webpage will load, and there will be a box which reads DRF with a link that reads (INSERT Current Year) Dayton Application for Teacher Candidate Field Experience. You will click on this link, and then continue to follow steps 8-11. For detailed directions, complete with screen shots visit https://education-human-services.wright.eu/advising-and-resources/partnerships-and-field-experiences/school-placement-information. Spring 2019 semester: the deadline to request a placement via Pilot was September 15, 2018. Fall 2019 semester: the deadline to request a placement via Pilot is January 15, 2019. Spring 2020 semester: the deadline to request a placement via Pilot is September 15, 2019. Schools hosting our teacher candidates require that they have current BCI and FBI background check reports prior to placement and continuing throughout the placement. This is mandated by the State of Ohio for the safety of students in the PK-12 schools. Current BCI checks obtained for employment of service learning may be acceptable if current. Submit a copy to OPFE for approval. Electronic fingerprinting is available in the Educational Resource Center (116 Allyn Hall) by appointment only during their scheduled open hours. Appointments may be made by calling the ERC at (937) 775-2878. Walk-ins may be accommodated if there are no appointments already scheduled at that particular time. Notifications about attending an orientation will be sent to candidates through Wright State email. Candidates should be sure to check their email accounts on a regular basis and RSVP to the appropriate session. These are always held during finals week. Candidates have been approved through their Student Services Advisor. Candidates have up-to-date BCI/FBI background checks on file with OPFE. Candidates are registered for the correct field experience course for the upcoming semester. OPFE has received confirmation from the potential building/district administrator for the placement. Wright State University is committed to the success of every teacher candidate. 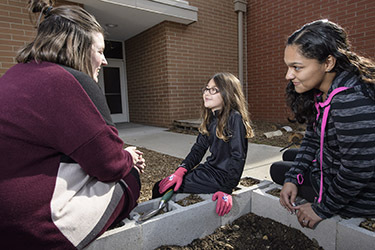 Wright State University works with all involved parties to ensure a positive experience for the candidate, the cooperating teacher, and the P-12 students. Despite these efforts, situations may arise in which a candidate may be removed from the candidate’s field experience placement site. Teacher candidates are guests of the school in which they are placed. If the field experience placement site asks a candidate to leave for any reason, the candidate must immediately comply. For an explanation of our removal policy, please read here (PDF).